Fastrack Entertainment is the smart choice for micro-reality stock car racing. aFounded in 1998 by Tom and Dale Cratty, Fastrack Entertainment is the leader in micro-reality racing for corporate entertainment, specialty conventions and NASCAR fans. 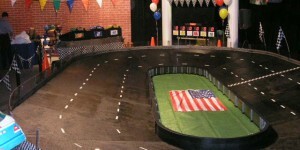 Stock car racing on a customizable mini race track offers attendees the special event entertainment they deserve. The business came to life in W. Palm Beach and quickly became the hit of South Florida. 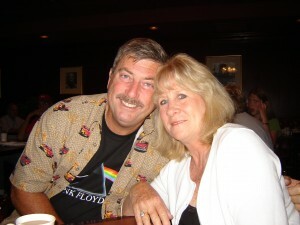 In 2006 the business moved to a more centrally located area 2 hrs North of Atlanta in Western NC. Entertaining virtually nationwide, we truly enjoy meeting and working with people. Our goal is to provide you and your organization with an exciting, wholesome entertainment venue that has no peers. Special requests and modifications to our standard race track layout are encouraged. Fastrack has provided its thrilling racing entertainment all over the country for such events as: Trade Shows, Conventions, Corporate Events, Company Picnics, Team Building Events, National Car Shows, Private Parties, Festivals, and Racing Events. Our micro reality racing entertainment is frequently used as the “focal point” or “anchor” for events in which everything else is used in a supporting way near and/or around the track. The track has a tremendous amount of audience appeal. 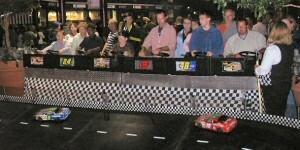 The size of the track is large enough to passively entertain many guests just watching the action on the track. The track is gender and family friendly, men, woman and children as young as 8 are able to enjoy the micro-reality racing action. Fastrack Entertainment’s quality assures near flawless operation and has never suffered a total system outage in 17 years. Our micro-reality stock race cars are theme adaptable and customizable to support nearly any event or sponsor. In a convention setting as a traffic builder, we recorded a 30% booth attendance at the ASIS Convention, San Antonio. 30%!! Our micro reality stock car racing service is perfect for conventions, professional team building, private parties, festivals, grand openings, car shows, and racing events. Is your company looking for pure excitement? Then look no further. Fastrack Entertainment will put a smile on everyone's faces with our great interactive race track. Drivers race each other with their own steering wheels, shifter and throttle. Go forward, reverse, fast, slow, turn whichever way you want. We travel anywhere in the United States. 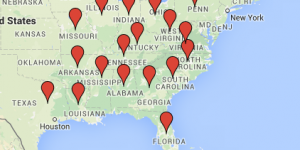 Our primary service area is on the East Coast. Frequented regions include, Alabama, Arkansas, Eastern Texas, Florida, Georgia, Illinois, Indiana, Kentucky, Louisiana, Mississippi, Missouri, North Carolina, Ohio, Pennsylvania, South Carolina, Tennessee, Virginia and West Virginia. Check the box below to verify.